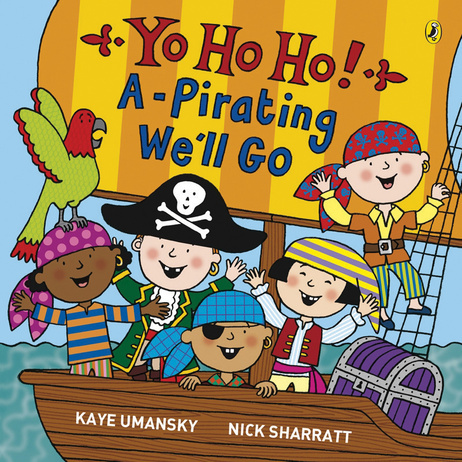 5 A Day Books: Week 7: Pirates! 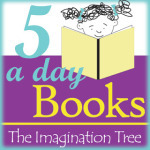 Read all about our 5-a-day book challenge here and please consider joining in! 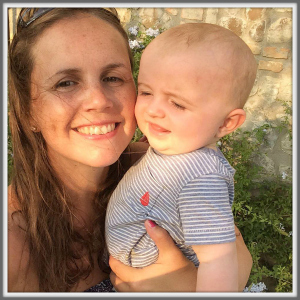 This week we are ALL about pirates! Cakie is flying away with this new interest and mostly it has been inspired by some new books that we have been reading. If you haven’t seen it already, here is the treasure box I made for some imaginary play fun this week! This is the fabulous book that I cited in the post about our new treasure box toy. 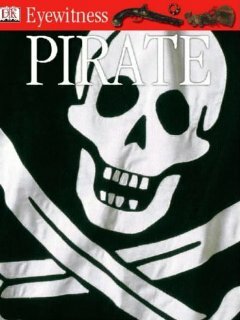 This is a collection of shirt, simple, funny poems about every aspect of pirate life, from the hat to the ship, the treasure to the islands. It’s got all of the elements for plenty of fun and talk about the topic, as well as some really catchy, easy to learn rhymes. (Excuse the awful image please!) This book, Pirate Piggy Wiggy by Christyan and Diane Fox is the story that started off Cakie’s interest in the subject. It is about a little pig who dresses up as a pirate and plays a game of make-believe with his friends, pretending to sail the seas, walk the plank and discover treasure. Cakie dragged this book with her to the shops, the bath and her bed for a number of weeks! I guess that means it’s pretty good! This story is bit more sophisticated and was much enjoyed by the 4-5 year olds I used to teach. It has a nice repetitive pattern to the words and the way they are laid out on the pages is very clever. 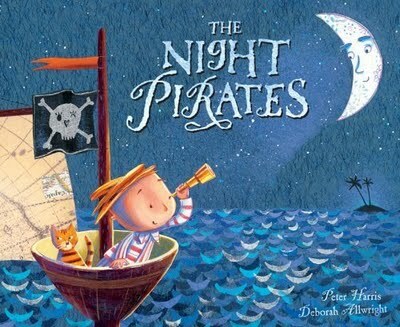 It’s nice to read a story that’s all about girl pirates too, quite unusual and a bit of good fun! And a good-ol’ That’s Not My book to throw into the mix! This one will be especially good for Little pop because of the touchy feely pages and very simple words. This last one doesn’t really fall into the usual category of a 5-a-Day book, nor would I recommend making it one as it is an information text, filled with facts, figures and photographs. But it is so interesting and promotes quite a lot of questioning and discussion points that it seems to fit our theme brilliantly. We shall dip in and out of it and talk about what we see, but will also read some rhyming books from previous weeks to make up the number. I can’t wait to see what you will be choosing and, again, may I say what an inspiration it is to be able to browse the other lists and add them to my future shopping/ library trips! 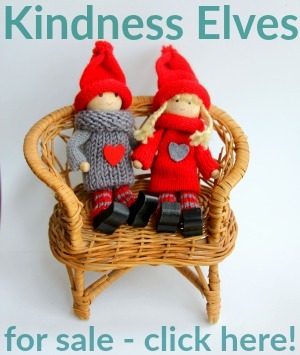 Please visit some from the link up and share the love with a comment. 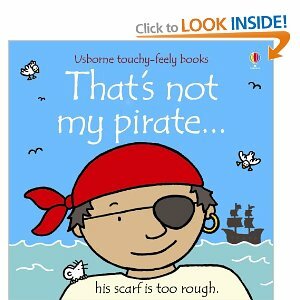 Hi Anna, we are happily reading this weeks books but the three of us have a terrible cold so I didn’t get time time writing a post 🙁 Have to say though, ‘That’s not my Pirate’ was J’s first book obsession. He was so very little I remember when we got it and although he didn’t seem to care much for the story, he just adored the textures. Especially the bumpy eye-patch. Hi Anna, we also love Nick Sharatt’s books. They are great fun! I would love it if you linked to my Book Sharing Monday.